When at around 11:30 PM on November 6thall the major networks – including an astonished Fox News – projected that President Obama had won another four years in the White House, I was surprised it had happened so fast, but I was also glad that things not only had gone the way I hoped but also that it all came down without a hitch. After all, there were suspicions that we might find ourselves in another 2000-like mess (when hanging chads and endless recounts caused the election results to be postponed for weeks). Though I wasn’t exactly happy about Obama’s first term – his overtly cautious approach, the way they handled healthcare reform (allowing the GOP and the Tea Party crazies to take control of the debate during the summer recess in 2009), the failure to close Guantanamo and to enact comprehensive immigration reform – among other things – I felt that a Mitt Romney presidency would have been disastrous for the nation. The first thing I feared about Romney-Ryan was the fact that neither of them seemed not to care for the American middle class. In case of the former Massachusetts governor, it seemed to do with his privileged upbringing. After all, how many billionaires do you see actively giving back to society? Sure, some might give to charity (in case of Romney, to his church), but it’s not like they really care – you don’t get to the top by being compassionate, that is just not how capitalism works. His running mate is an admirer of Ayn Rand, a staunch defender of individualism, and her followers are very critical of government – even when it is doing its part – say, in prosecuting antitrust laws. Staunch conservatives like that hate any kind of entitlement programs and you can make sure that if they had reached those 270 votes, they would surely change the face of America to the worst. 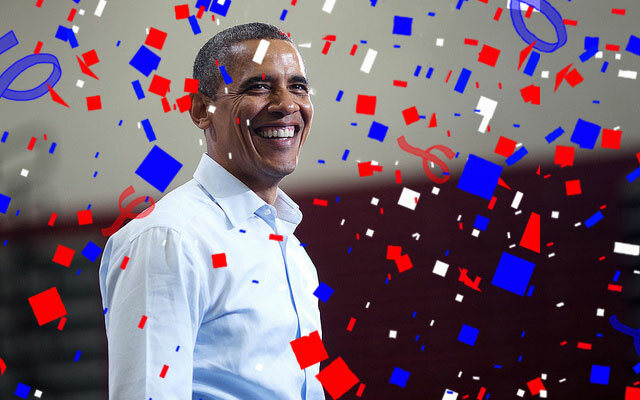 With a second term, President Obama will have the chance to consolidate the reforms he started – the ACA will be fully implemented by 2014, and then we will be able to see the real results it will bring. Also, he might just have the chance to change the balance of the Supreme Court, which today is divided between staunch conservatives and moderate liberals. Such an opportunity would give the country the chance to revert Citizens United, the ruling that caused this election cycle to become one of the most expensive ever. President Obama certainly does not have an easy path ahead – the GOP still controls the House, and I am sure that many of the representatives there will be out for blood. Voters, however, are watching, and it is likely that if the current gridlock persists, we will have big changes coming up in the midterm elections. 1 Start by making the caramel topping. Take brown sugar and butter and combine and melt in a saucepan on medium heat until sugar dissolves and the mixture is bubbly, this should take several minutes. (After sugar melts, don’t stir.) Pour mixture into a 10 inch diameter stick-free cake pan with 2 inch high sides. 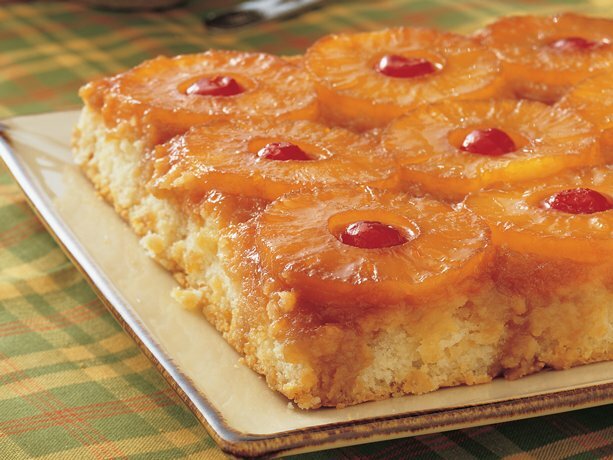 Arrange pineapple slices in a single layer on top of the caramel mixture.